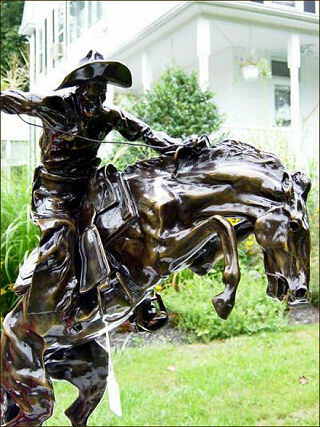 Bronco Buster was Frederick Remington's first sculpture and like most of Remington's work, depicts the life of the American cowboy in bronze sculpture. Horses were essential to everyday life and breaking horses was a difficult, but necessary chore. 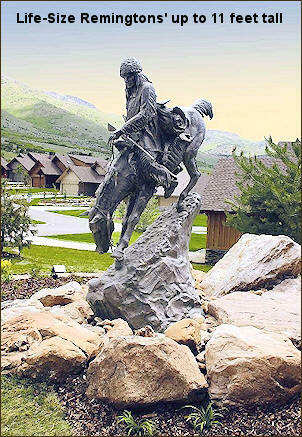 In this piece, Remington captured this classic struggle between man and beast. 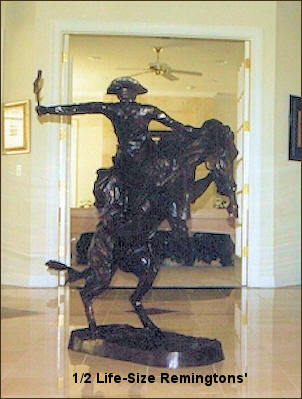 This is the one of the most recognized bronzes in the world and one of very few originals is in the Oval Office of the Whitehouse. 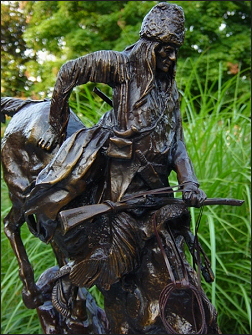 Please note the detail in this bronze and compare it to anything out there. Notice the wrinkles in the shirt, the smooth saddle bags that look so real they look like should move. Notice how the patina is applied in variations of rich dark brown by a skilled artist. This piece is 24" tall, which is the same size as the original. Note: We have larger and smaller sizes available too. Notice the detail in the face and the handkerchief around the neck. A Bronze doesn't get much better than this! I dare you to compare this to the cheap imports that have such a low copper content it shouldn't even be called bronze. And the patina is applied by dipping which results in uniform and lifeless coloration. You will be proud to own and display this piece. Free Shipping! in the lower 48 US states.